Ready! Set! Splash! 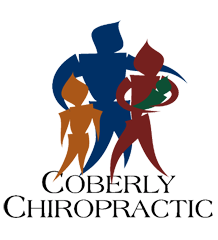 Six Bright Tips to Help Stay Safe At the Pool this Summer – Coberly Chiropractic, Inc.
School is out, and the cool, fresh water of the local swimming pool awaits beckoning. Long, sunny days, the smell of sunscreen, and the laughter of the playing children will fill the next few months. However, there are elements of this delightful picture that can end up causing harm to children and adults alike. It’s important to take a few key precautions when enjoying a day at the pool this summer. Doing so will minimize the risk of the summer laughter turning to tears. Here are six bright ways for adults and children to stay safe at the pool this summer. Playing in the water is a fun, refreshing activity, but can turn dangerous quickly. According to the Red Cross, the single biggest precaution to take to ensure summer safety is to make sure your children are able to swim. Book age appropriate swimming lessons for your children as young as possible. Nothing brings a playful pool day to a screeching halt like a slip and fall on the side of the pool. This goes for you, too, Mom and Dad! Bare feet offer no traction on wet and slick concrete, and falling can cause serious accidents that require stitches, casts, and, well, chiropractic visits! Make it a rule to wear water shoes or sandals around the pool at all times. 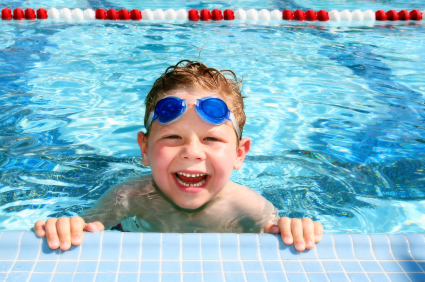 Swimmer’s ear is a common condition that is brought on by water remaining in the ear canal, allowing germs to grow. Yuk! The CDC reports that this condition results in an astonishing 2.4 million doctor visits every year. Guard against this by teaching your children to tilt each side of their heads toward the ground to drain their ears, and to dry their ears thoroughly with a towel every time they get out of the pool. If you or one of your little swimmers experience ear pain after a pool day, take them to the doctor as soon as possible to begin treatment. Hot days and bare skin are too much temptation for bees, mosquitoes, and ticks. Bites from these creatures range from itchy to extremely serious. Ward them off with bug spray, or sunscreen with insect repellent. Ticks in particular are dangerous. If you or your child gets bitten by a tick, remove it promptly and clean the area thoroughly. A day at the pool can be a blast for the young ones, but wagging the cooler and lawn chairs back and forth to the pool can exhaust an adult, causing injury. Remember to lift heavy items with your legs, and don’t overload yourself. An extra trip to the car is worth it to avoid a neck or back strain. Okay, that is a little melodramatic, but it pays to be prepared in the event of an emergency. Pack a small kit with alcohol, tweezers, bug bite cream, and bandages. Keep the kit in your car or pool bag. Better safe than sorry. Pool days are a big part of the hot summer months, and are usually lazy and enjoyable. Keep them that way by taking these six tips to heart and talking to your children about the pool rules. With a little preparation up front, the chance of fun-dampening or dangerous instances happening to your family will be greatly minimized.